It's time to say Goodbye to January 2016, the first month of this year is about to be done and over with. 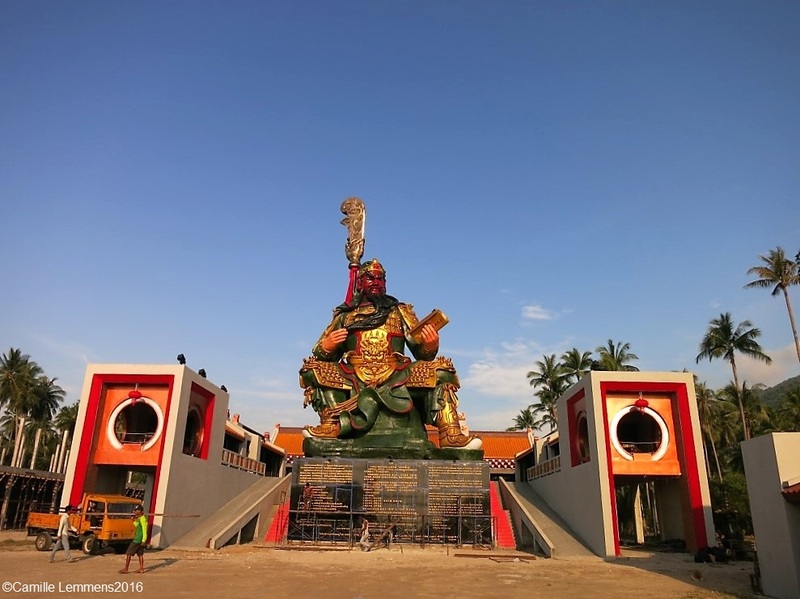 Let's start with the weather, it was a mixed bag, there were plenty of nice and sunny days but also plenty of stormy and wet days and for Thai meanings, even cold days. Although, fair enough, nothing like the 16C that came along in Bangkok and Northern Thailand, that would even have been cold for me, after having lived here for 16 years. 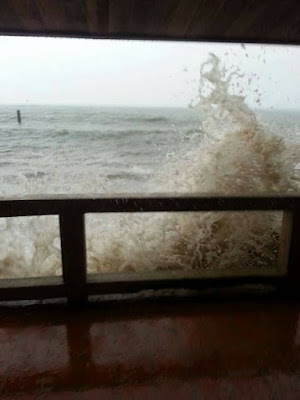 Especially the storm that raged over Koh Samui 25th January was noteworthy! The last couple of days have been nice and fairly sunny again. I would measure this January fairly average for a January on Koh Samui. On a personal level, I was busy on Koh Lanta for a PADI IDC and spent a good two weeks there. A lot of running was done this month, both on Koh Lanta and Koh Samui, I'm attempting to run my third full marathon ever 14th February in Surat Thani and I got 290km's on the clock this month. A good month for me and I'm looking forward to February, hopefully less bills to pay and a good marathon time in the making! 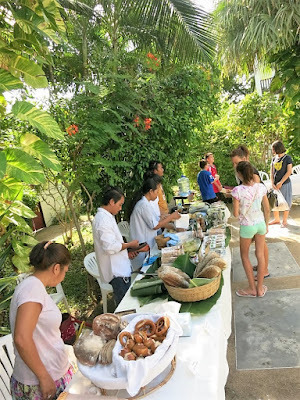 We went early and it seemed quiet but an hour later, when we left, the pace had picked up a bit and more visitors had arrive to the Samui Green Market January 2016. 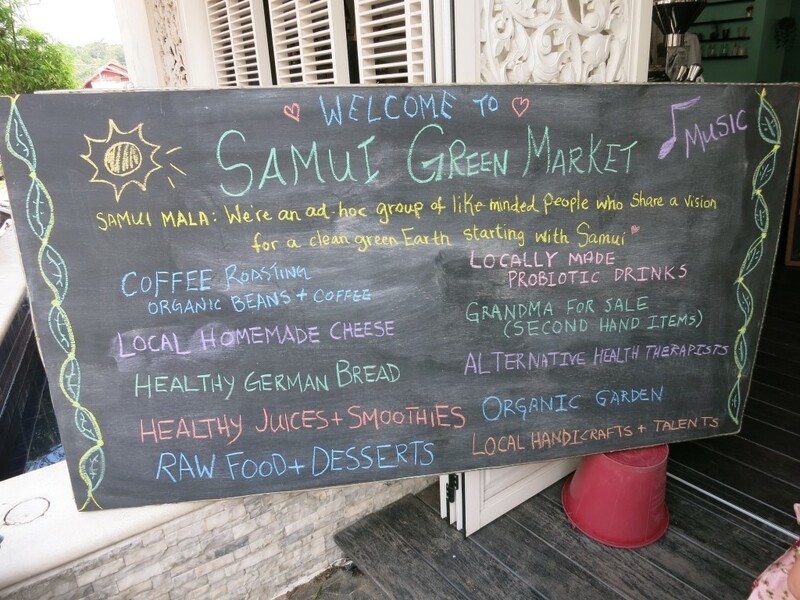 Overall though, it was not as busy as the previous two events, last month's Samui Green Market was buzzing, this month it seemed a bit more quiet. We got our dose of German bread and sour dough bread and enjoyed a few drinks and chatting to some people. 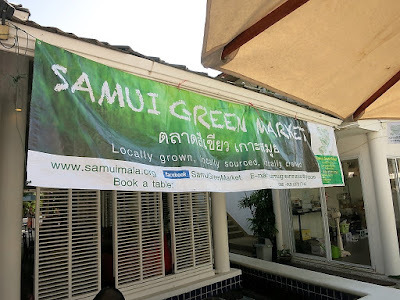 As always it was very relaxed and I hope the Samui Green Market can establish itself. 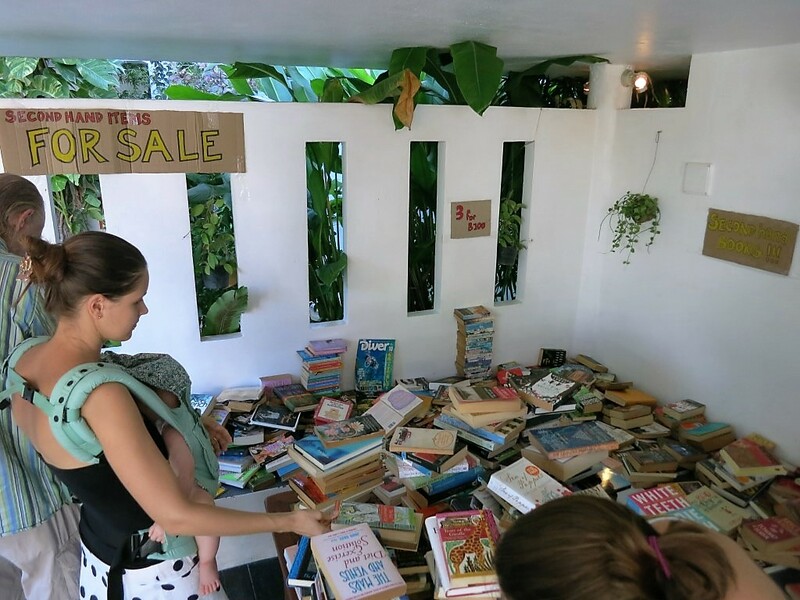 There's a location now and this is the third or fourth month running. Hope to see you around next month for a visit at the February version of the Samui Green Market, Keep an eye out for update on the dates for February in due time. The forecast for the next ten days looks fairly good, partially cloudy skies, an occasional shower and next weekend a fairly strong wind. The forecast is predicting fairly sunny skies for the next ten days except for tomorrow when some rain is expected and next weekend may see an increase in wind again. The forecast is looking god though, for the next ten days we should have sunnier skies, with a possibility of a shower until next week Tuesday, after that it should be non stop sunny with possibly the wind picking up again during the first weekend of next month. The next Samui Green Market Sunday 31st December will be held again at the new, steady location at Fisherman's Village at Elysia Boutique Resort and starts around 3pm, with between 4.30 and 6.30pm jazz music by local jazz musicians the Tap-trio. Have a look at last month's report here. We will make sure to be there and buy some locally made German bread and other goodies. There's a always a good atmosphere, plenty of good food to eat and/or try and the weather forecast looks splendid for Sunday afternoon. PS Bring your baskets/ shopping bags - no plastic please - let's be kind to our planet, today and every day. The wind is loosing it's power as well. The forecast predicts the next ten days to be sunnier and with hardly any wind. The forecast predicts the wind to have mostly disappeared by tomorrow and we can look forward to sunnier skies again for the next ten days with possibly some rain come next Monday. 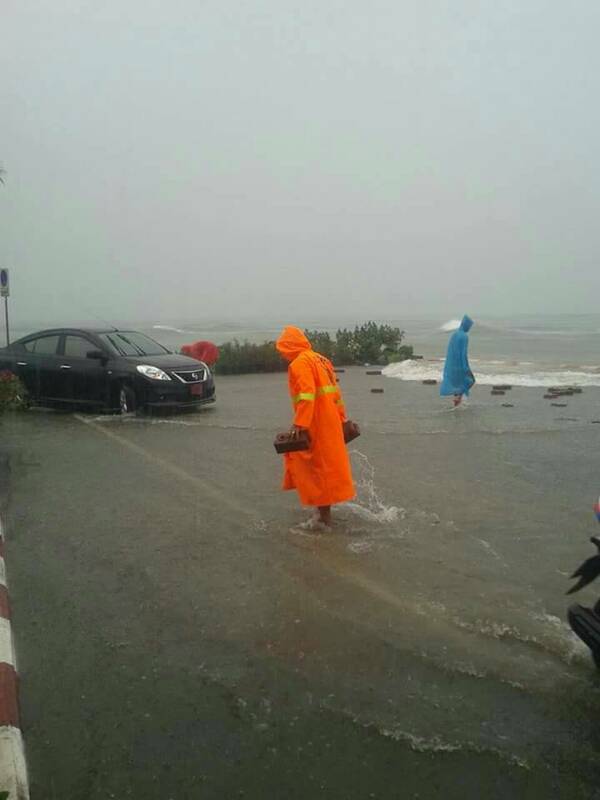 Today I should be back home on Koh Samui during the early evening hopefully. The forecast shows still rain and strong wind for today until the afternoon, tomorrow some rain and the wind has decreased already and come Thursday it;s nice and sunny again with occasionally some clouds and rain at specific days. It's looking a lot better again. A real storm rages over Koh Samui today and it is having an impact! The beaches are being pounded by big waves and floods are being observed all over the island. 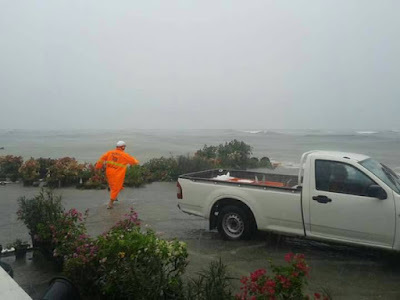 However, this time not only from the rain but also from ocean water. 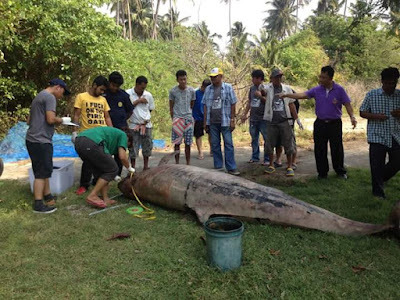 Our children had to be picked up from the Bophud school, after we received a phone call from the teachers that ocean water had entered the school. The ocean is a couple of hundred meters away from the school! Here are a few pictures from the situation earlier today in Nathon. 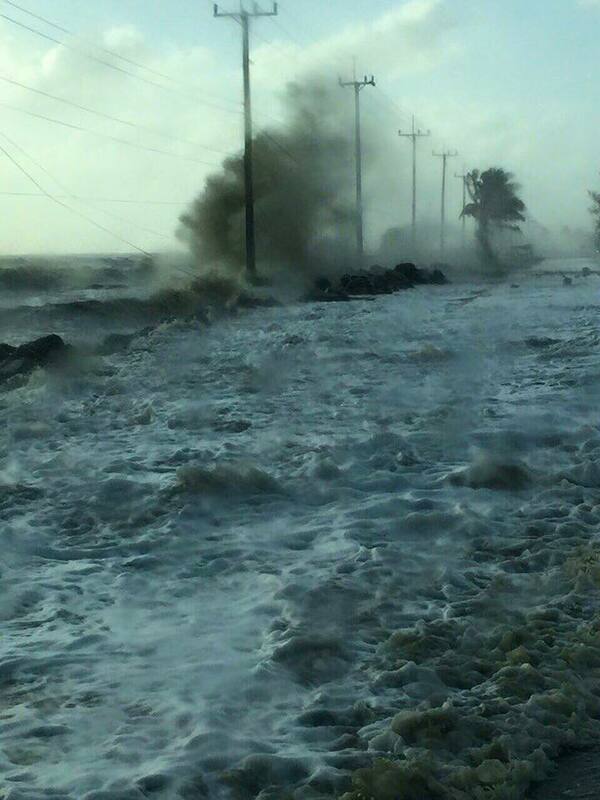 The ocean boulevard is swept over by waves, at times the water gets pretty high! It seems that the boulevard wall might be partially disintegrating, as people carry bricks away from the ocean side of the boulevard. 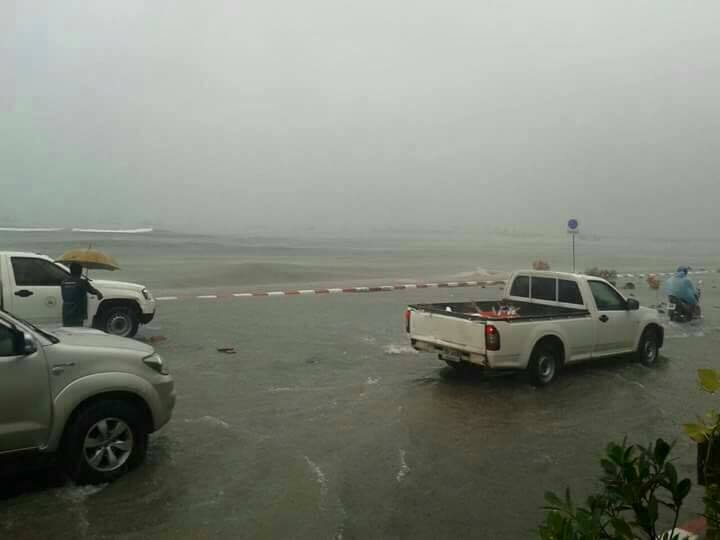 Amazingly, yesterday the Samui Ride & Run event could happen without any of natures forces playing around! I was supposed to get back home today, but got sidetracked for one night to Phuket, where I am right now and where it's nice and sunny but with a very strong wind blowing. 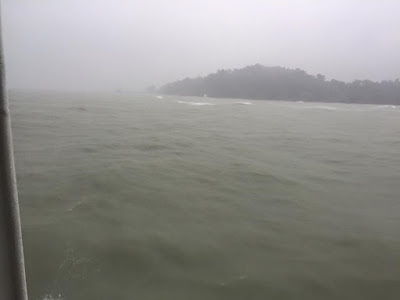 This may be a good thing, since the Seatran ferry coming from Koh Samui had to turn around once it reached Don Sak, since the ferry couldn't dock due to the high waves. People on the ferry were even wearing life jackets! 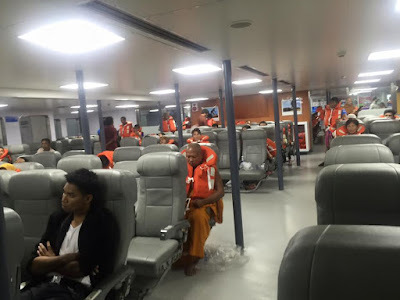 For tomorrow I have secured a reservation on a ferry bound for Koh Samui, the weather forecast is looking slightly better, so I'm crossing my fingers that the ferry will run tomorrow and any possible queues are being dealt with before I arrive. At this moment I have no updates about Koh Samui airport but I can imagine that there may be delays or cancellations. As already mentioned, tomorrow morning there should still be a strong wind but around noon things should start to slow down and slowly get back to normal. Hope you're all safe out there! 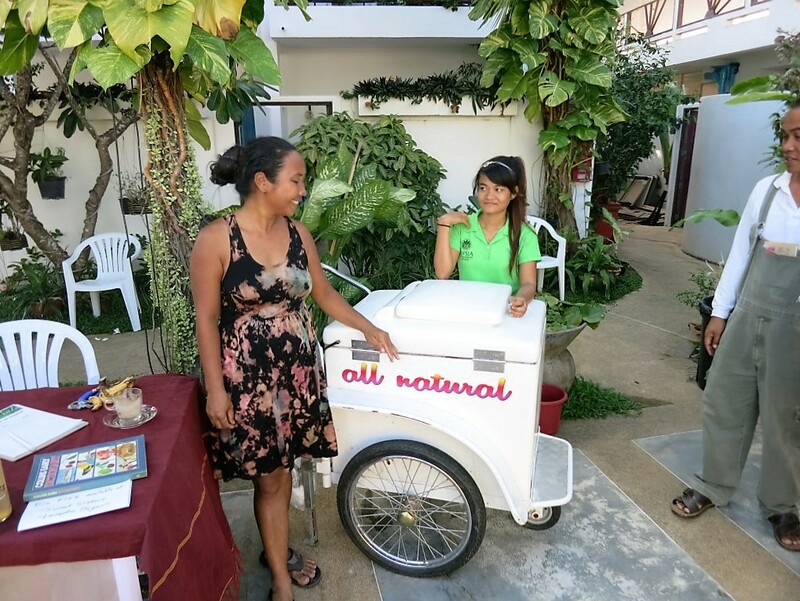 Yesterday saw a very busy and successful Samui Ride & Run event in Nathon. Today I will travel to Phuket and tomorrow I will be on my way back to Koh Samui. Yesterday all the candidates passed their PADI IE exam here on Koh Lanta! The forecast predicts the strong wind to stay on until Tuesday and by Friday the wind has faded away. From Friday onward expect sunny skies again with an occasional shower. By now most runners for the 10km race in Nathon for the Run & ride event, should be back at the finish line. Wish I could have been there. We're on day number to of the PADI IE on Koh Lanta and yesterday all of my candidates did well well, today they only have one part of the exams left, their open water presentations. The forecast shows some clouds and rain coming up over the next couple of days, until Tuesday. After that it should be mostly nice and sunny again until the beginning of March, when we may have an occasional shower again. 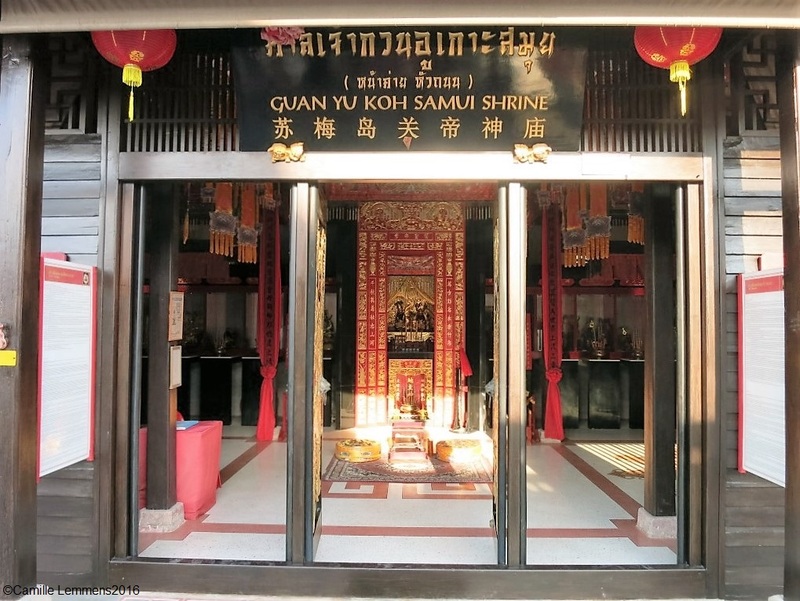 The first house of Saladan on Koh Lanta, when coming in from the ocean. A nice wooden house build over the beach. The forecast is predicting rain for tomorrow, possibly until Thursday morning, but on Monday we may have a small storm like wind moving over Koh Samui. Come next weekend, it all shhould look good again and the sunshine might be back. The forecast is predicting is predicting nice weather until Sunday when rain and a strong wind will be possible. By mid next week we get a bit of a mixed bag, possibly some rain with some cloudy skies for a few day, it's looking better towards the start of February. The new bridge under construction at Koh Lanta, it keeps fascinating me, hence, a picture from a new angle, from the dive boat upon returning to the island. The forecast is looking ok, Sunday a strong wind is expected, which should last for two or three days and will be accompanied by some rain. Mid next week it should clear up again and towards the end of the week and the month, it should be nice and sunny again. Pending on where you are on Koh Samui this morning, the sky is either partially clouded or fairly blue, with some clouds looming over the ocean. It should be nice and sunny today. Current temp at 7am is 28C It looks the wind is picking up a bit though, which makes for a nice cool breeze. On Koh Lanta we had a shower around 5pm. The forecast is looking fairly good. Recently I received a lot of messages asking about the weather late January, early February, since the long term websites are supposedly not looking too good. The site that I use, Windguru, is more short term, for ten days and it looks nice and sunny towards the end of the the month with possibly some hard wind and rain on Sunday and Monday. On Koh Lanta we have a thin cloud layer but the sun is peeking through. Current temp at 7am is 24C, nice and cool. The forecast is looking good, the wind is slightly picking up and it should be mostly sunny until Sunday. That's when the wind really picks up and we should have rain for two days. Just before the weekend a new and reconstructed statue at Guang Yu Shrine in Hua Thanon has been officially opened with a ceremony. It's the second change within a few years. 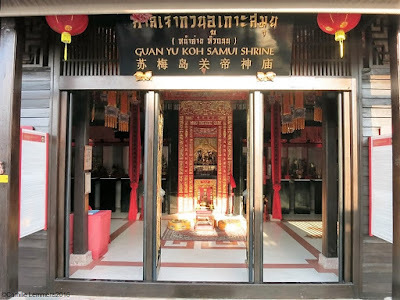 In 2012 there was a ceremony for a complete new shrine and as the previous link shows, with a big red head in front of the shrine. Well, this head has now been replaced with the new statue that is in the pictures in this post. 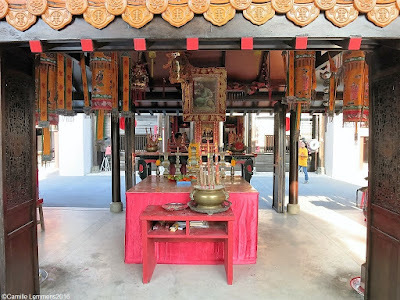 What I still dearly remember is the original old, wooden Guang Yu shrine, check out this post from June 2008. 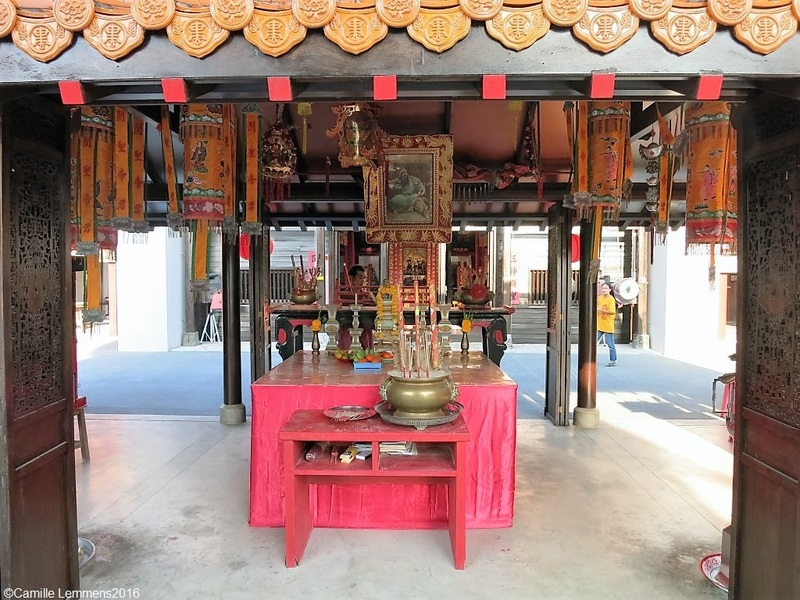 I was well impressed with the shrine and it surroundings and to be quite honest, I liked that old wooden shrine a lot more than the new one. 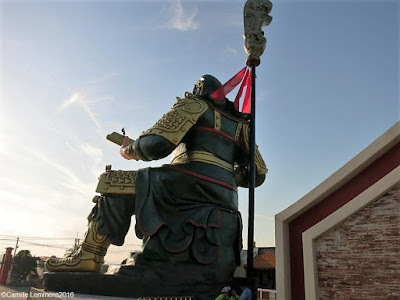 Having said that, the new statue is impressive and looks good, however, the atmosphere on the old shrine was unique and has not been caught in my humble opinion with the new concrete shrine complex. How impressive it may look like. Guess it's called progress, as with plenty more things around the island. The previous big, red head was impressive in it's right, but admittedly, this new statue has something going for itself and it's all part of Koh Samui history with a strong Hainanese link to the shrine. 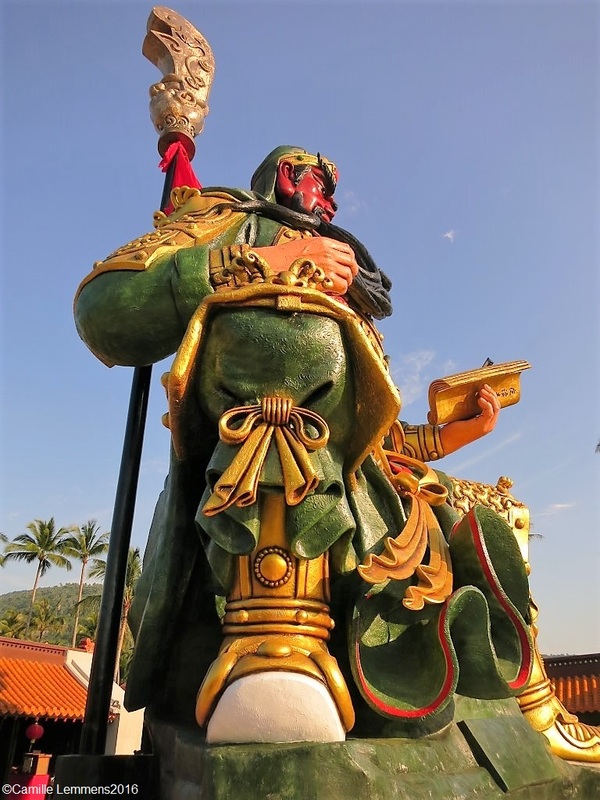 The Chinese island of Hainan is where the original inhabitants, or at least a lot or most of them, originate from. It's well worth a stop, if you drive by or are doing a trip around the island, in that case it;s almost a mandatory stop. There's a very different feel and vibe at this shrine compared to a traditional Thai temple, of which you can find many around the island. As part of the current PADI IDC on Koh Lanta, we will be on a boat and we're out diving today at a dive site named Koh Haa. The forecast is predicting the wind to pick up from tomorrow until Thursday and from Sunday to Tuesday. It should be fairly sunny but from Sunday onward expect some daily rain. It's cloudy but dry over Koh Samui this early morning with a current temp at 7am of 26C. It should remain mostly cloudy with possibly some rain around noon. The forecast is heavy clouds until Tuesday noon time, about the time the wind starts to pick up and come next week Sunday, we may see some rain as well. 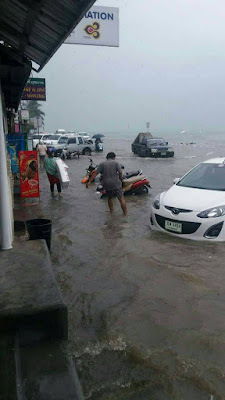 The forecast for the next ten days around Koh Samui is predicting some rain over the weekend and Monday with the wind slightly picking up come Tuesday. However, from Tuesday until next weekend it should be dry and fairly sunny, just for the rain making a return visit from next Sunday onward with strong wind starting mid next week. The forecast has finally changed a bit and for the next ten days cloudier skies, possibly with a few showers and as of mid next week stronger wind with possibly some rain come next weekend, the weekend of 23th and 24th January. The forecast didn't change much at all, the next ten days are going to be mostly sunny and warm with mid next week the wind picking up a bit. Chances of a shower are marginal.